There are many characteristics and skills required in order to be a successful trader. One of the most important abilities is to contain emotions and maintain discipline while trading. In the article I want to talk about the importance of Trading Psychology. Trading the forex markets takes hard work, discipline, a plan and the right personality to be profitable. It’s not for everybody? You will be tested consistently and this will require a psychological mindset that allows you to make the right decision when the going gets tough…..because it will get tough. To become a successful with trading, you have to keep your emotions in check, and you have to have some discipline. The markets are made up of many retail traders who are at any second experiencing a range of emotions which can generate volatile market conditions. Even the best traders fall prey to emotions such as fear and greed. Novice traders have the tendency to place a trade when the market is experiencing high volatility and try to generate quick gains, based on their instincts, without a specific trading plan. One of the best ways to promote discipline is to create a business plan. Generating income from trading activities is a business, and should be treated as such. Would you risk your hard earned money on a business without having a plan that shows you can make money? Probably not, right? Well it should be no different with your trading business. It’s important to have a checklist when making a trading decision to make sure you have all your ducks in a row, before you enter a trade. 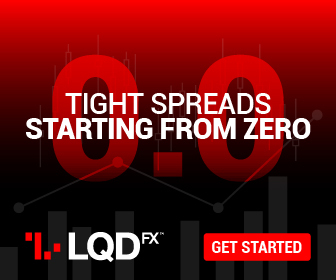 This will help build confidence in your trading process and help you to analyze your trades better. It’s very important that you have confidence in your process and approach, because if you don’t, that’s when the panic kicks in and you’ll end up pulling the plug too quick when something goes wrong. 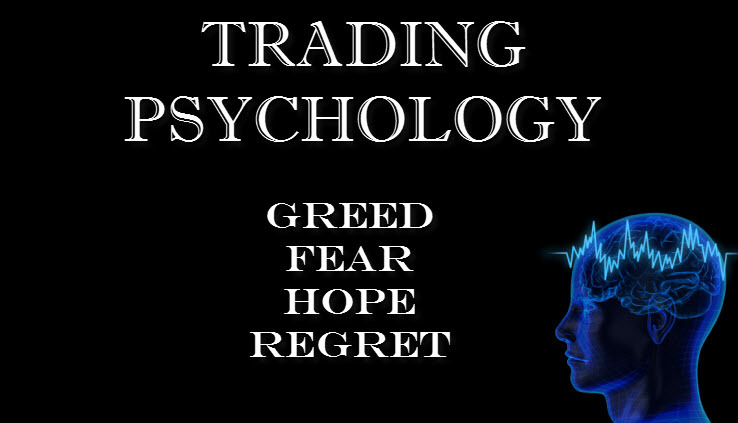 So What Is Trading Psychology? It’s hard to completely understand it unless you’ve had direct investing experience. Most traders know that getting and staying in the right mindset is crucial. I didn’t understand this when I first started trading but it didn’t take me long to realize when my mind’s not right, I need to stay away from the charts. Part of understanding forex trading psychology is to recognize the presence of fear and greed. While losing money is something you need to accept as part of trading, it’s very hard to learn how to tolerate the uncomfortable feeling you will experience when you are losing money. This is where emotional discipline comes into play, but it does take time to become relaxed and take losses in stride. If you want to become successful, it’s important to know the effects of losing and winning on the psychology of a trader. 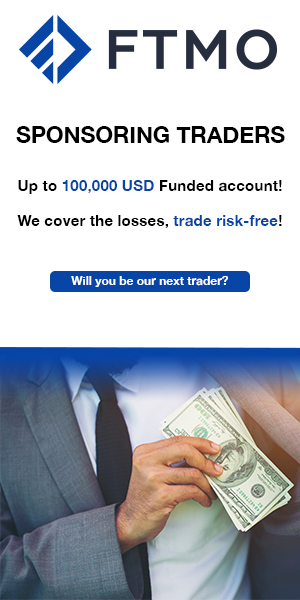 Are you afraid of losing money? Losing money goes hand and hand with fear. Fear can overwhelm you if the position size is larger than normal, especially if you didn’t plan on taking a larger than normal loss. If you are a discipline and stick to your plan, when losses come around you will be able to handle them. I know a lot of traders panic when there’s drawdown, but experience will teach you to remain calm if you have a drawdown that falls in your range of expectations. If you have a strategy that wins 60% of the time, you should expect losses. You will never be happy when the market is moving against you, but if your strategy shows losses 40% of the time, you will become more comfortable with a loss as a potential outcome. What’s harder to handle is a situation where a trader takes unplanned risks which can adversely affect their trading psychology. Impulse trading happens more often than you think. Most of the time it occurs when you make a snap decision and transact on impulse. When these trades move your way quickly, and generate gains, you can feel great! It feels like free money has just fallen from the sky, but many times these trades can move against you. There are several scenarios that can happen at the start of impulse trading. This style can generate fear, anger, and losses. Anger is generally the first emotion that you might feel as the market moves against you. You might be annoyed at yourself for placing a trade with such a cavalier attitude. If you are stubborn and don’t want to take a loss, your anger could be replaced with fear. When you initially placed the trade all you thought about were the gains you would collect and now you are disappointed and fearful. Recognizing this type of negative trade psychology is the first step in overcoming it. The best way to handle impulse trading is to make sure to keep the same risk management you have within your regular strategy. So, if you normally get stopped out of position with a 2% loss, then you should use this percentage to trigger an impulse trade stop loss as well. When you begin to trade, do you think about how many consecutive losses you are prepared to accept? Probably not. A consecutive losing streak can definitely test your discipline. Part of the risk management process is to try to think about situations that can throw off your strategy and how you will react during those times. If you have a strategy where you expect to win 80% of the time and lose 20% of the time, you should expect some degree of error. If you lose on your first 10 trades, you probably need to go back to the drawing board to see if your strategy really works as intended. This is where demo accounts come in very helpful. If you were successful while using your demo account but your success didn’t transfer to a real money account, you need to figure out why this is happening. Your emotions might be interfering with your success in the live trading environment. Is Greed Good Or Bad? Now that’s a good question. I think it’s definitely a doubled edge sword. Greed can be helpful if it is contained and used in the context of your risk management plan. Greed can be counter-productive when you only become concerned with the profit and dismiss your strategy or trade plan altogether in hopes of making that big win. Usually this type of greed comes into play when the market moves your way beyond your planned take profit level and you decide that this is your home run trade and you abandon your strategy or rules. This situation can play out in many ways. The worst is when you become so attached to a trade that it eventually reverses and your gains become losses. Next you become angry that you let this situation occur, and decide to hold on until the market moves your way. Then your anger turns into fear, as you begin to lose money. But noooooo you hold on to the trade and shrug aside your initial stop loss level leading to excessive losses. Then you start praying, asking GOD to save you. You tell Him if HE does, you’ll never let this happen again, as long as you can just break even. Sounds familiar? I know I’m not alone on this one. lol I think we’ve all experienced this at some point in our trading career, some more than others. So before I go, I want to leave you with 3 steps that can help turn your trading around. Below are 3 steps every struggling trader should immediately take to stop over trading, impulse trading, and revenge trading. STEP 1: Wake up and face the cold, hard truth: If you are trading impulsively, over trading, revenge trading, losing control, moving stops away from the market (or not setting stops), or suffering that one bad trade or one bad day that destroys weeks of disciplined trading, then change is immediately required. In order to get results, you have to stop wasting time with well meaning but ineffective self-improvement methods that are not working. You have to stop promising yourself that, “Today will be the day I turn my trading around”. How many times have you said that? Be honest! ruining your ability to trade your method and take the profits the market offers you. These programs destroy your trading performance the same way a virus destroys the performance of your computer. You want to know what programs I’m referring to? Positive thinking at the expense of accuracy will DESTROY your trading career! Accurate thinking (paying detailed attention to actual results, not wishful thinking) will SAVE your trading career! STEP 3: The subconscious programs that are the root cause of your trading psychology challenges must be deleted and replaced. Deleting these profit destroying programs is the “secret sauce” that helps save trading careers when other attempts have failed. If you’re serious about improving your trading, already know how to trade, and are not trading with scared money, then you still have time to save your trading career. With these 3 steps and the proper education you can overcome your trading psychology challenges and become a profitable trader. I hope you enjoyed this article. Thanks for stopping by! Trading foreign exchange on margin carries a high level of risk, and may not be suitable for all investors. Past performance is not indicative of future results. The high degree of leverage can work against you as well as for you. Before deciding to invest in foreign exchange you should carefully consider your investment objectives, level of experience, and risk appetite. The possibility exists that you could sustain a loss of some or all of your initial investment and therefore you should not invest money that you cannot afford to lose. 8.2. DMAC Inc LLC IS NOT A REGISTERED INVESTMENT ADVISOR, BROKER/DEALER, FINANCIAL ANALYST, FINANCIAL BANK, SECURITIES BROKER OR FINANCIAL PLANNER. DMAC Inc LLC IS A TECHNOLOGY PROVIDER WHICH AMONG OTHER THINGS FACILITATES THE SHARING OF TRADE INFORMATION VIA THE INTERNET. USERS OF THE SERVICE MAY USE THE TRADE INFORMATION TO FORMULATE THEIR OWN INVESTMENT DECISIONS WHICH COULD BE TO COPY THE TRADES OF OTHERS. ALL INFORMATION ON OUR WEBSITE IS PROVIDED FOR INFORMATION PURPOSES ONLY. THE INFORMATION IS NOT INTENDED TO BE AND DOES NOT CONSTITUTE FINANCIAL ADVICE OR ANY OTHER ADVICE, IS GENERAL IN NATURE AND NOT SPECIFIC TO YOU. BEFORE USING THE COMPANY’S INFORMATION TO MAKE AN INVESTMENT DECISION, YOU SHOULD SEEK THE ADVICE OF A QUALIFIED AND REGISTERED SECURITIES PROFESSIONAL AND UNDERTAKE YOUR OWN DUE DILIGENCE. NONE OF THE INFORMATION ON OUR SITE IS INTENDED AS INVESTMENT ADVICE, AS AN OFFER OR SOLICITATION OF AN OFFER TO BUY OR SELL, OR AS A RECOMMENDATION, ENDORSEMENT, OR SPONSORSHIP OF ANY SECURITY, COMPANY, OR FUND. THE COMPANY IS NOT RESPONSIBLE FOR ANY INVESTMENT DECISION MADE BY YOU. YOU ARE RESPONSIBLE FOR YOUR OWN INVESTMENT RESEARCH AND INVESTMENT DECISIONS.